Looking for a modern, professional eyecare practice that treats you as an individual? At Morgan Optometry in Kidlington, Oxfordshire, you can be assured of highly professional eyecare and clinical attention. We have a policy of employing optometrists that have worked at local eye hospitals or who have further optometry qualifications. Whether you may require spectacles, contact lenses, or laser refractive correction, Morgan Optometry’s policy of offering continuing high quality care ensures your eyes their optimum vision and comfort at all times. All our optometrists and dispensing opticians participate in ongoing professional education and take further qualifications and training. This makes certain you will be offered the very best advice in the latest developments in eye health and vision correction. A regular eye examination is an important part of a healthy lifestyle. Whether your eyes BURN, FEEL GRITTY, ITCH, or ‘JUST FEEL WET’, they would probably benefit from a thorough assessment and treatment plan. Our EyeCare Plan plan enables us to provide you with extra care in looking after the health of your eyes and provides you with the best visual solutions at affordable prices. 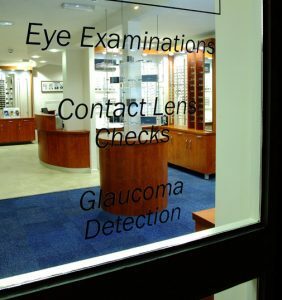 Make an appointment with one of our practitioners today to discuss your eye care needs. Looking for a modern, professional eyecare practice where you are treated as an individual? Take a 3-D tour of our practice!